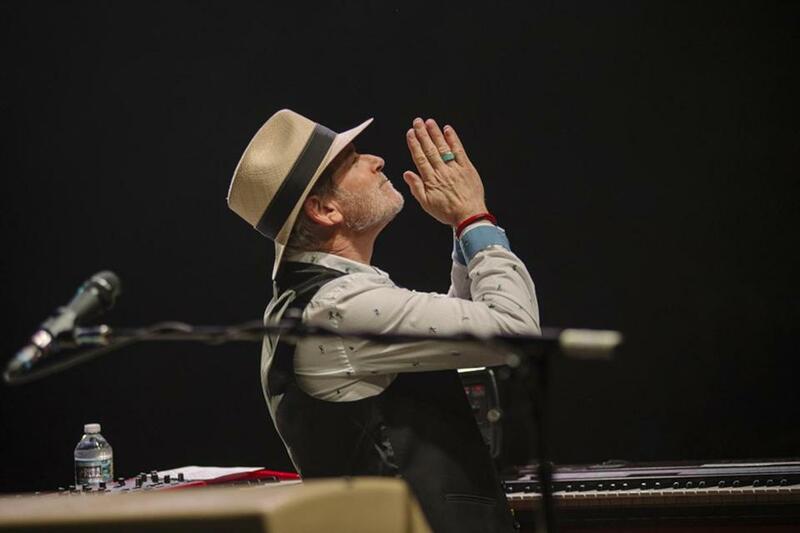 Heartbreakers keyboardist Benmont Tench was a student at Phillips Exeter Academy and saw Led Zeppelin at the Boston Garden when he was a teenager. As Benmont Tench tells it, he was studying for an economics final at Tulane University when his pal Tom Petty called him up. “What are you doing?” Petty asked. “Studying for an econ final,” Tench replied. “What are you doing?” Petty responded, emphasizing the last word with something near revulsion. Petty wanted Tench to drop out and join Mudcrutch, an early prototype of the Heartbreakers. We recently caught up with Tench, the Heartbreakers keyboardist, as Petty and the band get ready to play back-to-back shows July 20-21 at TD Garden on their 40th anniversary tour. Q. You went to high school near Boston, [at Phillips Exeter Academy]. Did you go to Boston for shows at all? A. When I was 17 or 18, I went to Boston Garden and saw Led Zeppelin; the opening acts were MC5 and Johnny Winter. We were in the nosebleeds. During Johnny Winter’s set, a fight broke out between bikers and people on the floor, and I had a camera and filmed it — there’s a guy with a crutch, and I can’t tell if he’s beating the biker, or if the biker is beating him with the crutch. Either way, if your first concert is a biker fight at MC5, you’re doing all right. A. The thing about Boston and the Heartbreakers is, ya’ll were the first place that liked us. Ya’ll were the first that understood what we’re up to — good songs with minimal BS and lots of heart. Q. How’d you meet Tom? A. When I was 11 or so, there was a big music store in town that I haunted. I tried every piano in the place. After school, I’d be there. There were older kids who worked there; they had long hair and looked tough. Tom was the blond one. Q. After Mudcrutch broke up, did you think it was all over? Q. What was is about the Heartbreakers that had magic? A. There’s a lot to be said for growing up with the same sensibility in the same town. It was like-minded people who grew up drinking the same water, breathing the same air. We shared the same cultural DNA. Q. Were you surprised at the fame? Q. What are some favorite moments that stand out over the last 40 years? A. When the Heartbreakers backed up Bob Dylan. That was unexpected and transcendent. A certain kind of rhythm can feel like the human heart, and Bob has that. It’s a kind of rhythm that goes way, way, way back. Every now and then, he’d say, “Do you know ‘Tomorrow is a Long Time’? Do you know ‘The Lonesome Death of Hattie Carroll’?” And then in front of 15,000 people, he’d just start playing, no rehearsal. Another: Johnny Cash and me in an empty church recording “Danny Boy.” Johnny Cash was sitting in this big ornate preacher’s chair, and I think June [Carter Cash] was next to him. A. What are you going to say about that? There are lot of wonderful [memories with] the Heartbreakers, but Johnny Cash? [Pauses] Yeah. Q. Who thought of name the Heartbreakers? A. I think it was our producer, Denny Cordell. We couldn’t come up with a name; we had some terrible names. I just remember I got a call at some point; Tom said, “What about the Heartbreakers?” I thought it looked great written out. And it was just about the last thing you’d say about us [laughs]. I thought it was tongue-in-cheek. Q. What are your favorite Heartbreakers records? A. I think “Damn the Torpedoes” is really strong. “Echo” is overlooked. “Wildflowers.” That was represented as a [Petty] solo, but that was all of us. Q. I can’t imagine what it must feel like to play up onstage and hear thousands of people singing with you. A. If we’re playing “I Won’t Back Down,” and I’m worrying about the sound and I look up, and I hear a whole bunch of people singing together: “Hey baby, there ain’t no easy way out.” Then I’m like, “OK. Just be present.” It’s very joyful. It’s really terrific. Q. Anything you’d like to add for Boston fans? A. Whether we play Fenway or Great Woods or the Garden, Boston is a big deal. Boston is always a big deal. You guys share our musical DNA. So Boston really feels like a home city. You guys listened from day one. It means a lot.